What does Red, Amber and Green Mean for Your Projects? Stop light reports are a great way to report on the status of your project to your stakeholders and they also provide a quick reporting from my team members to me at each team meeting (enabling us to reduce the time we meet!). Red (trouble): Project is at risk to miss a scheduled completion date, may be over budget or out of scope. Immediate management action required. Amber (danger): Project may be at risk if issues are not addressed. Attention required. Risk Description: Schedule Issues: Project is 1 week behind due to difficulty in scheduling meetings with users to gather data on current applicant tracking system. Will make up 3 days by holding meetings with larger groups of users of system than initially planned. Can make up 2 days elsewhere on project. Risk Description: Resource Constraints: Team lead pulled from project to help on another project. Expected to be gone from this project for only 2 weeks. If extends longer than 2 weeks, will have impact on schedule. Now here is where I frequently see issues with stop light reports in use by many of my clients. Frequently, the client has not defined the parameters for the stop light report. For example, at one pharmaceutical client, a multi-million dollar project appeared to be moving along nicely until a review of the project overall showed that the team members had a different perception of what it meant for a task to be amber or red than the project manager had. For example, for the project manager, a task went to red when it was 1 week overdue; for the team member, that same task would go to red when it was 4 weeks overdue (the team member was confident he could make up the time.) At that same client, some team members were unconcerned about the budget and didn’t consider cost status at all when reporting on project status – assuming, as one team member noted, “…even if I go over budget, someone is likely to come under so it all balances out.” This led to the project manager reporting status to the project sponsors that was not accurate. To be sure that status reports work effectively for your projects, and that everyone is looking at the status report and reporting on their tasks the same way, come to agreement on what red, amber and green means to you, your team and the key stakeholders/project sponsors. Define parameters for red, amber and green: What does it mean if a project is in the “red?” Are you over budget by $x or by x amount of days? Have you lost key resources or have they been reassigned? You need to define (in conjunction with your team and sponsors) what it means if a project is in the “red.” You might choose to set parameters for simple to more complex projects, based on strategic impact or based on number of resources. Same for “amber” projects – set parameters that are clear to everyone so that everyone is reporting the same way on their project tasks. Green is usually pretty clear cut! Communicate those parameters. Once you have parameters set, communicate those parameters for reporting on project status to all stakeholders so when you update them on the project, there is no ambiguity about where the project stands. This enables for clearer communications and better management of your stakeholders overall. Back to our client. Once we defined the parameters, communicated to all stakeholders and began reporting consistently across the board, we were able to ensure more consistency in how projects are managed and were better able to control projects across the board. Don’t have parameters in place for your stop light reports? Take some time away from your projects today to work with your team and sponsors to put parameters in place for all projects moving forward. 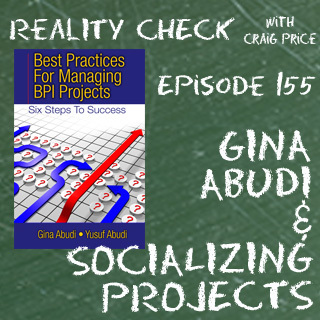 You’ll find your job as project manager a bit easier! Communicating the status of the projects through the “red, amber and green” stop lights has been standard practice in many project status report meetings. It makes lot of sense during the end of the quarter stakeholder project meetings when individual statuses of critical project activities need to be shown. From my experience and opinion, the amber light is always for “Challenges faced”, Delays or More support needed. Red light is when things have gone wrong or the activity is about to be shelved. More importantly, the stop lights gives a quick glance for stakeholders on the health of the project. They can quickly narrow down on the “amber” and “red” lights for further discussion and support. David – traffic light reporting enables for more effective and efficient reporting of EAC and NPV. By reporting through the use of a “traffic light” I do report on what the executive team and board wants to know, I just do it in a manner that is concise and understanding for all. Traffic lights? There are only two things that are worth knowing about a project: estimated completion time, and estimated completion cost (EAC in EVM terms). Completion means delivery of the required capability. A board might also want to know the forecast NPV of the project. They might go a little further and want uncertainty bands around the forecasts (which should include for the assessed risk probabilities). Done.